The Cricut Expression Personal Electronic Cutter is an innovative die-cutting machine from Provo Craft. As the largest of the Cricut machines, the Cricut Expression allows cuts from a tiny 1/4 inch up to an impressive 23 1/2 inch tall. Its 6 modes and 4 functions offer greater customization of cuts, and new settings and menus add functionality to the machine. 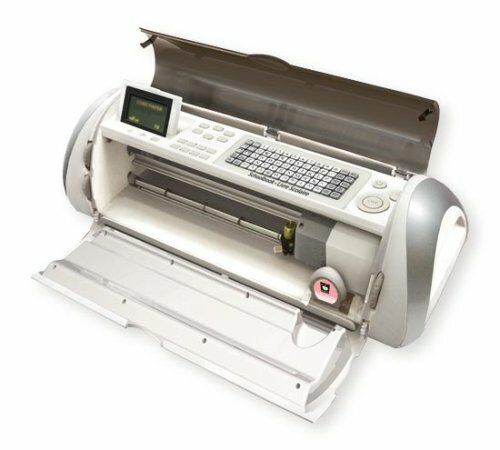 Unlike traditional die-cutting machines, the Cricut Expression is portable and cuts quickly and easily. Just select the image you want and press cut. You won’t have to worry about storing expensive and bulky dies. A single cartridge for the Cricut Expression is the equivalent of hundreds of dies from a traditional die-cutting system, but Cricut cartridges can fit in the palm of your hand. You’ll be amazed at everything the Cricut Expression machine has to offer. Includes instructional DVD and 12 by 12 inch cutting mat. Measures 21-1/2 by 7 by 7-3/4 inches.